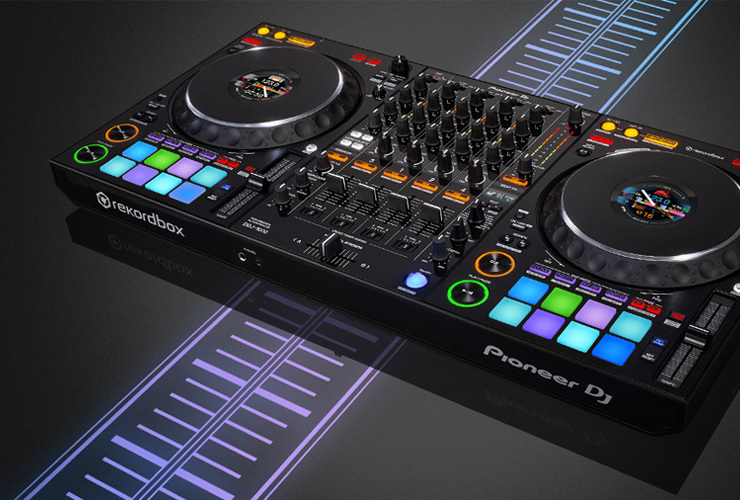 Rekordbox DJ is Pioneer’s own software, so new controllers, dedicated to this software, are expected. Here we have DDJ-1000, and the first thing that catches our eyes is jogs in the standard CDJ-2000NXS2 size with integrated full-colour LCD displays in the middle (waveforms, cue and loop points, BPM or other information you choose yourself can be represented there). It is also worth noting these jogs are not going to be the same plasticky feeling ones which you’d find on entry-level controllers. The four channel controller is not a standalone unit, so laptop still needs to be plugged in. DDJ-1000 inherits 10 effects from the DJM series and there are 4 new ones as well (Enigma Jet, Mobius Saw, Mobius Triangle and Low Cut Echo). Effect section has been positioned in the mixer part of the DJ controller. Pioneer themselves say DDJ-1000 is their lowest latency ever controller, so forget lags when scratching intensively. 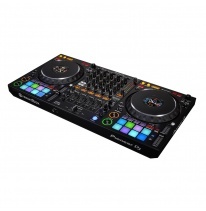 At the moment this new controller by Pioneer is the closest tool to a club setup you can get – you can see the familiar CDJ/DJM layout, and this is a top choice for someone who wants a professional Rekordbox DJ controller.